You’ve decided to become an entrepreneur. Congrats! Now get ready to learn learn a whole new business lingo. As you’ll soon discover, there are countless important -- and, sometimes, confusing -- terms that pop up in the startup and financing phase of your new venture. This post will help you translate and understand some of the most common concepts. Burn rate: A slang term for the amount of venture capital a company’s founders can spend (i.e., burn through) during the startup phase before they will run out of money. A high burn rate tells the investor that they may have to wait a longer time to see a Return on Investment (ROI). Example: If a company has $1 million in investment and spends $100,000 a month on overhead during the startup phase, then the burn rate is ten -- meaning the company has ten months until they’re out of money and need to start generating a positive cash flow. Due diligence: A vetting and research process done by potential investors or funders of your business to assess its current or potential viability. Due diligence helps folks determine whether or not to invest in your company. Example: Typically due diligence will include research into the company’s profitability, the total valuation of the company, your competitors, shareholder agreements and other key factors affecting the bottom line and short- and long-term growth potential. Exit strategy: A investor’s plan for getting out of a business investment once certain profit criteria have been met or if the business is not generating profits. When is an exit strategy used? Could be due to an owner’s retirement or divorce, lawsuits, a catastrophic event or a underperforming business. On the positive side, an investor might use an exit strategy if the business has met or exceeded its profit goals. Example: When angel investor Maria agreed to invest $100k in a tech startup, she put this exit strategy in place: Should the business not meet profit goals in two years for any reason, all business assets will be liquidated to limit any further losses. Also included in her exit strategy: When Maria reaches a 25% ROI on her initial funds, she will collect her original investment and returns and exit the company. Minimum viable product (MVP): In the early stages of product development, the MVP is a simple, economical product that can be distributed or sold quickly to generate feedback for the development of a more complex product in the future. An MVP helps a company avoid costly engineering and manufacturing expenses associated with a final product that hasn’t been fully tested. Example: A company produces a simplified version of the first level of a video game to gauge its appeal. How do players respond to it? Do they want more? What do they think of the characters and gameplay? The game developer takes that feedback and uses it to produce higher, more sophisticated levels. Proof of concept: Will your idea work in the real world? Proof of concept is an early prototype of your product or idea that you can share with or demonstrate for potential investors and can test with the intended market in the early development stages. Example: A pop-up restaurant to test a new culinary concept with the target customer before committing to the effort and expense of opening a full restaurant. A real-world trial shows potential investors that, yes, people do want to eat your food. Return on investment (ROI): ROI is a helpful metric to measure the percentage of return an investor receives on her investment. The percentage is measured by using the formula (Gains/proceeds from investment - original investment / cost of the investment). Example: Lila invested $10K in a pinball lounge. Two years later she sold her share for $15K. Using the formula $15K - $10K / $10K Lila’s ROI is 50%. Jesse invested $30K in a construction business and sold his shares a year later for $35K. Using the formula $35K - $30K / $30K Jesse’s ROI is 16%. Total addressable market (TAM): The TAM is the big picture market for a product or industry. It’s the comprehensive market for a product, and it’s the first data point entrepreneurs should determine when measuring the potential success of their idea. Once assessed, you can narrow the field to the served available market (SAM) and then focus in even more on your target market. Example: Your product is left-handed golf clubs. The TAM is the entire golf club market. Served available market (SAM): The SAM is how many customers you could realistically reach, taking into account your sales channels and the competition. It’s a narrower share of the total addressable market (TAM), the entire market for a type of product. Example: The SAM is the portion of all the left-handed golf club buyers you can reach within your sales channels. Target market: The specific customers for whom you are developing your product or service. Example: Continuing our golf-club example, your target market is all the left-handed golfers you can reach within your eastern U.S. sales channels, for instance. Valuation: The process of determining what your business is worth. The valuation may vary based on the parties involved -- for example, shareholders vs. buyers vs. investors. You’ll need to figure out your business valuation to determine annual shares, the sale price of a company or the liquidation value if bankruptcy is declared. Venture capitalist vs. angel investor: When you receive venture capital funding, it’s very much like working with a brokerage firm where the funds of many investors or institutions are pooled and invested into a business. The VC firm representing the investors may have minimal say or direct contact with the company they are investing in. An angel investor, on the other hand, is much more hands-on. Angel investors expect an equity share in the company in return for their investment, and they will likely want to participate in the company’s decision-making process. Example: Meal delivery service, Freshly, raised $107M in funds with investment from three venture capital firms. Luxury clothing brand Wolcott Takemoto is seeking angel investors who are involved with the company on a monthly basis. 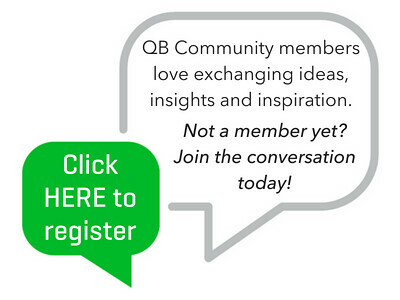 QB Community members, what examples for these terms can you offer from your own experience? Special thanks to @cruberti for the idea for this article. Hope it helps! This is an AWESOME article and really helped explain some key concepts! thank you for including examples - so helpful! Thank you!! @cruberti oh good, I'm so glad! Now go get your money!